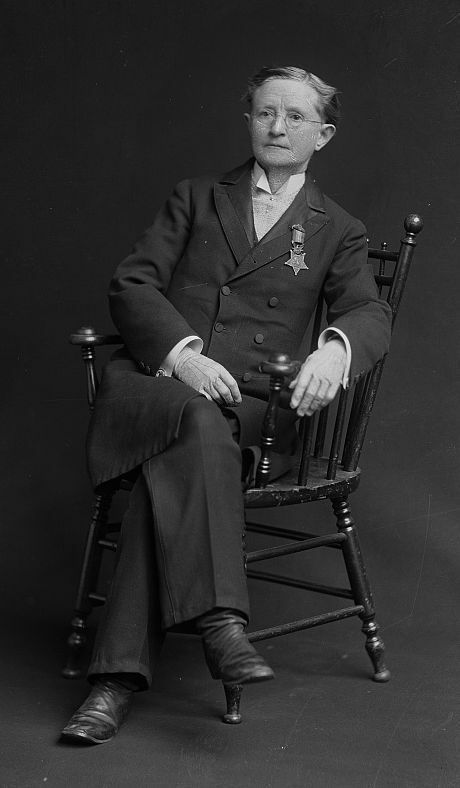 Dr. Mary Edwards Walker is the only woman in United States history to have been awarded the Medal of Honor, only to have it rescinded later in her life. Some would argue that she was way ahead of her time, while others see her as a crackpot. I’m going to say one word and then I want you to try to visualize the type of person that the term describes. That word is hippie. I would guess that you probably thought of a person with long hair walking around dressed in a tie-dye shirt. Add-in some beads, a peace sign, a general counter-culture attitude, and some hallucinogenic drugs and that picture is nearly complete. Now try to imagine what a hippie would have been like if he or she had been born a century earlier. That’s a tough thing to do, but one probably need not look further than the husband and wife team of Alvah and Vesta Whitcomb Walker to do so. Both were born in Greenwich, Massachusetts and were married in 1822. They moved to Syracuse, NY and started a family. The names of their children are a big hint that there was a something a bit different about this couple. First born was Vesta in 1823, followed by Aurora Borealis in 1825, and Luna in 1827. They then moved toward conventional names in 1828 with the birth of Cynthia. 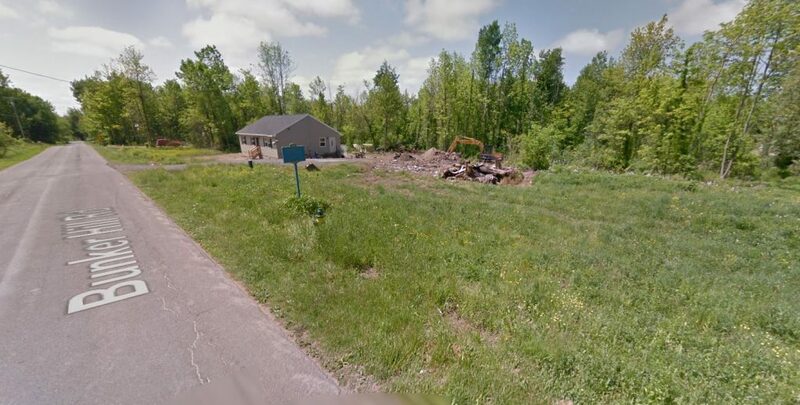 In 1832, they sold their Syracuse property and moved to a 33-acre farm that they had purchased on Bunker Hill Road in Oswego, NY. 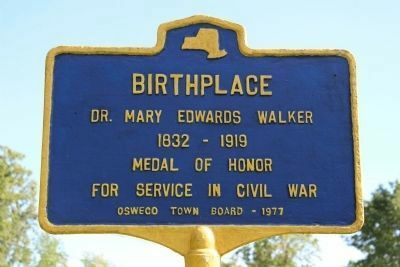 Shortly after arriving in Oswego, mom gave birth to her fifth daughter Mary Edwards Walker. Edwards is a highly unusual middle name for a girl, but it was chosen to honor an aunt back in Massachusetts. The final addition to the Walker family was a son named Alvah, Jr.
Dad was a believer in free thought and is credited with building the first free school in Central New York. The couple taught their daughters that they were the equal of any male and encouraged all of their children to get a good education and seek professional careers. When Oswego built its first school, Alvah closed his and converted the building into a mechanics shop. He specialized in the construction of doors, sashes, and coffins. In his spare time, he read up on medicine and became a self-taught country doctor. The couple was religious and churchgoing, but always the nonconformists. All of the children were expected to help out on the farm, but none of their daughters were allowed to wear corsets or any of the other tight clothing that was fashionable at the time. Not only was this clothing deemed impractical for farm work, mom felt that it restricted breathing and could potentially damage internal organs. Alvah was an outspoken foe of tobacco and alcohol. They were steadfast abolitionists and their home served as a station on the Underground Railroad as escaped slaves made their way to freedom in nearby Canada. Today, if you were to go to the farm, all you will find there is a blue-and-yellow historical marker. You may be surprised to find out that there is no mention of any of what I have just told you on the sign. Instead, it is in honor of their daughter, Dr. Mary Edwards Walker. As you can probably imagine, a female doctor in the mid-1800’s was a rare site, which is only part of the reason as to why the sign is there. It is what Mary Edwards Walker did during her lifetime that makes her the real focus of today’s story. Historical Marker at the Birthplace of Dr. Mary Edwards Walker in Oswego, NY. So, let’s jump forward a bit to January 1852. Mary is now nineteen years of age and has just been hired to teach in the nearby town of Minetto. Her salary is meager, but she managed to scrimp and save what she could so that she could fulfill her dream of attending medical school. 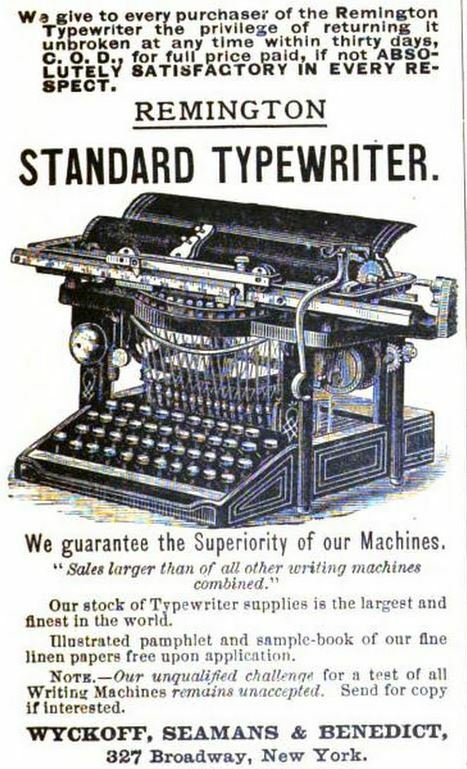 In many ways, this was a crazy idea for the mid-1800’s. The thought of a woman becoming a doctor went against the social norms of the day. Not only was it considered indecent for a woman to see the human body in all its glory, most believed that medicine was too difficult of a concept for the meager female brain to grasp. Yet, in a way, Mary’s timing couldn’t have been more perfect. Just three years prior, Elizabeth Blackwell graduated from the Geneva Medical College in the Finger Lakes to become the first woman to receive a medical degree in the United States. Even though she graduated at the top of her class, the school got cold feet and decided to stop allowing women to enroll in their medical program. That same year, Stephen Hollister Potter, who ran the Central Medical College in Rochester, NY, branched out and established the Syracuse Medical School. This school was unique in that it was the first medical college in the world whose policy was co-education from the start. Unlike traditional medicine at the time, which was just starting to use anesthesia and scientifically based medicines, Syracuse taught eclectic medicine, which focused on botanical remedies, coupled with other treatments, diet, and exercise. Syracuse Medical College was the perfect fit for Mary. She lived a bit outside the norms of society and, let’s face it, she had no choice in the matter. This was the only medical school in the United States that admitted women and that is where she had to go if she wanted to become a doctor. Mary received her medical degree in June of 1855 and quickly found out that both the medical field and society as a whole would not accept a female doctor, particularly one with a degree from an alternative medical school. Her first step was to head off to Columbus, Ohio, the home of her father’s sister. Mary was unable to establish a successful practice there and was back home in New York just a few months later. That fall she married one of her classmates at medical school, Dr. Albert Miller. Their wedding was anything but conventional. Mary opted to forgo the traditional wedding dress and instead wore loose-fitting trousers and a coat-dress that reached down beneath her knees. The word “obey” was omitted from the ceremony and she insisted on being called Dr. Miller-Walker. Mary joined her new husband’s practice in Rome, NY, but it wasn’t long before she found out that he was being unfaithful. The couple soon separated and Mary moved into a nearby apartment. An ad in the Rome Sentinel announced the establishment of her medical practice, but she struggled to make ends meet. 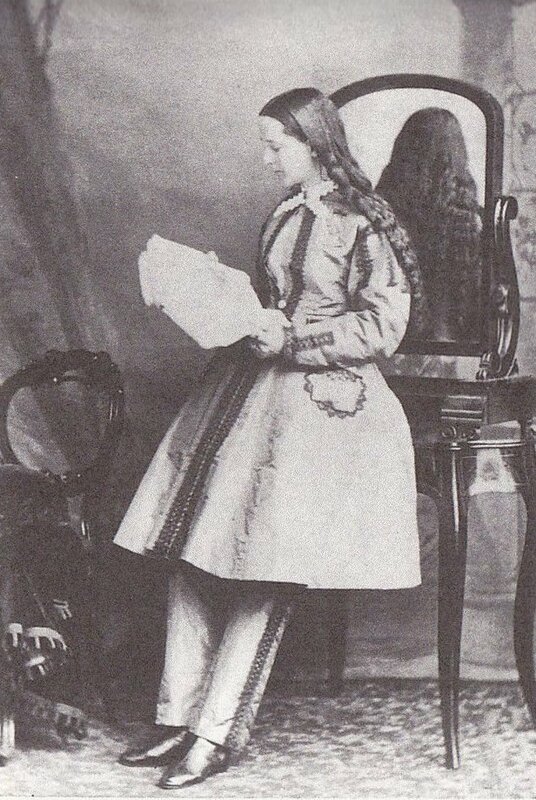 Dr. Mary Edwards Walker while she was still a young woman. The onset of the Civil War would forever change her life. At twenty-nine years of age, Mary gave up her medical practice and headed to Washington, DC to offer her assistance. Faced with a critical shortage of doctors, Mary was confident that the federal government would have no choice but to offer her an appointment. If only she had known had wrong she really was. When she arrived in Washington in October 1861, it became clear that no one wanted the help of a female doctor. She was repeatedly asked to serve as a nurse, but refused. Mary insisted that she would only work as a medical doctor, but she had too many strikes against her from the start. First, she attended a non-traditional medical school. Next, Mary was a strong, confident woman – certainly not the dainty, faint-of-heart type that society expected women to be. Lastly, and perhaps the biggest strike against her, was that she was a woman in a male-dominated world. Unable to secure an assignment from the military, Mary did the next best thing. She volunteered her medical services at a hospital set up at the still-under-construction US Patent Office. Mary made an immediate positive impression on the surgeon in charge, Dr. J.N. Green. He asked the federal government to grant her compensation for her medical assistance, but the request was denied. The Surgeon General replied that he could never appoint a woman to such a position. Mary continued to care for the wounded at the Patent Office through November and December of 1861, but ultimately had to leave. One can only assume that it was for financial reasons. One month later, Mary was in New York City studying alternative medicine at the Hygeia Therapeutic College. Hygeia specialized in hydrotherapy and stressed a diet rich in fruits and vegetables, exercise, and proper hygiene. She was granted a second medical diploma on March 31, 1862. By October, she was back home in Oswego. In November, Dr. Walker returned to Washington before heading off to an encampment in Warrenton, Virginia which was commanded by General Ambrose Burnside. Upon Mary’s arrival, she realized conditions were far worse than she could have ever imagined. Not only was the camp filled with critically wounded soldiers, but a typhoid fever epidemic was raging. Mary did all that she could to locate the necessary medical supplies, but they were in incredibly short supply. At one point, in an act of desperation, she tore her nightgown into strips to make compresses. This may seem like no big deal today, but it was quite the scandalous act in 1862. It soon became clear that the lack of medical care and provisions made it nearly impossible to treat the men at the camp. Mary sought and received permission from General Burnside to take the sickest men back to Washington to receive better treatment. There were so many men packed into the train that they had no choice but to place the less sick on top of the freight cars. Given little for the journey in the way of supplies, Mary did her best to care and comfort the many soldiers aboard. Once the troops were delivered to Washington hospitals, Mary headed back out to the front. This time she found herself right in the thick of it as the Battle of Fredericksburg erupted in December of 1862. With thousands of wounded pouring in from the battlefield, Mary’s skill as a physician and surgeon were put to good use. An appeal was made to the Secretary of War by Dr. Preston King, who worked alongside Mary at Fredericksburg, to get Mary compensation for her efforts. She was once again denied the commission, supposedly because there were no provisions in the law to allow for appointment of a female doctor. 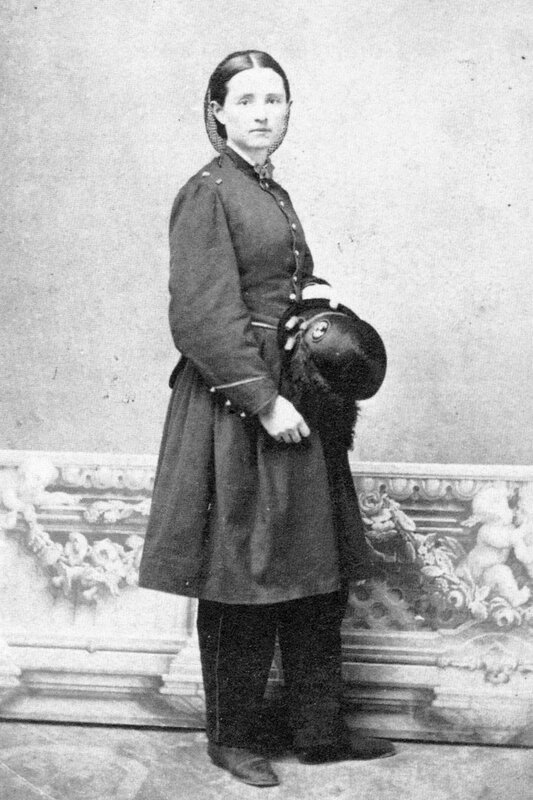 Dr. Mary Edwards Walker c.1865 Wearing Her Custom-Designed Military Uniform. From the onset of the war, Mary felt that doctors were amputating far more limbs than was absolutely necessary. Being so close to the battlefield in Fredericksburg made her even more certain that she was correct. As both a female and non-commissioned doctor, Mary was unable to stand up to medical authorities and express her concerns. Instead, she chose a much more subversive approach. When Mary learned that a soldier needed an amputation, she would ask to examine the patient herself. 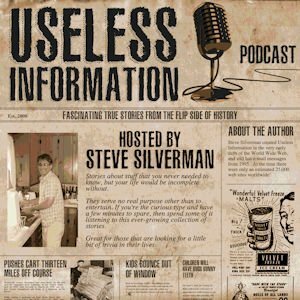 If she concluded that the amputation was unnecessary, she swore the soldier to secrecy and told him to refuse the surgery. Without any income, Mary once again returned to Washington in early 1863 and attempted to set up her medical practice. Yet, she was unable to turn her back on those in need. She observed that thousands of women had come to the city in search of their loved ones, but most had no money. Even when they did have funds, finding available lodging was nearly impossible. As a result, many of these women wandered the streets, sleeping in public parks and the entranceways of homes. 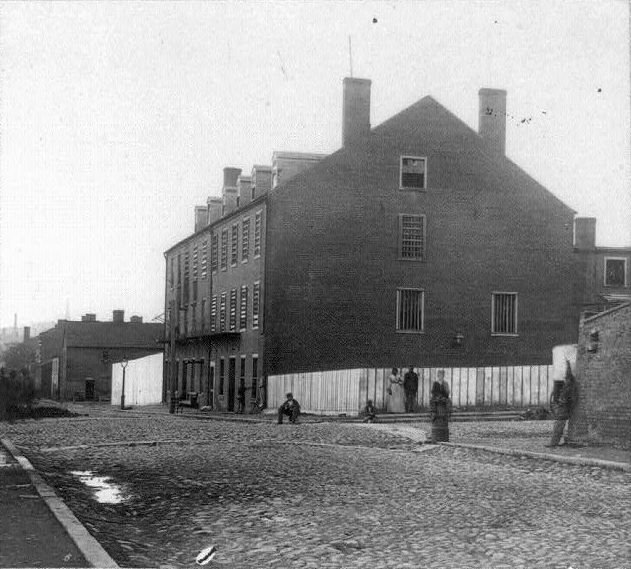 Walker secured aid from the city’s mayor to set a home for “unprotected females and children.” She rented a house on 10th Street – right across from the historic Ford’s Theater – and placed the following advertisement in the Washington newspapers: “Dr. Mary Walker has the pleasure to inform those females who are homeless that she has secured respectable rooms where they can remain overnight, free of charge.” It was the first woman’s home ever established in that city. In November, she penned a letter to Secretary of War Edwin Stanton requesting that she be able to set up her own regiment, which included naming herself as surgeon. Her request was rejected. Never the one to give up, Mary next asked Congressman Farnsworth to write a letter of recommendation of her behalf. In response, the Board of Medical Officers at the Department of the Cumberland handed down a scolding decision, basically stating that Dr. Walker was totally unqualified and that “her practical acquaintance with diseases and the use of remedies is not greater than most housewives possess.” Instead, they felt that she was best suited to work as a nurse or in obstetrics. One can just imagine the frustration and anger that Mary felt with this latest rejection. Undated photograph of Dr. Mary Edwards Walker, most likely taken while she was in her early 30's. And that’s when fate suddenly stepped in. Assistant Surgeon A.J. Rosa of the 52nd Ohio Volunteers suddenly died from an overdose of morphine and the military brass were in urgent need of a replacement. 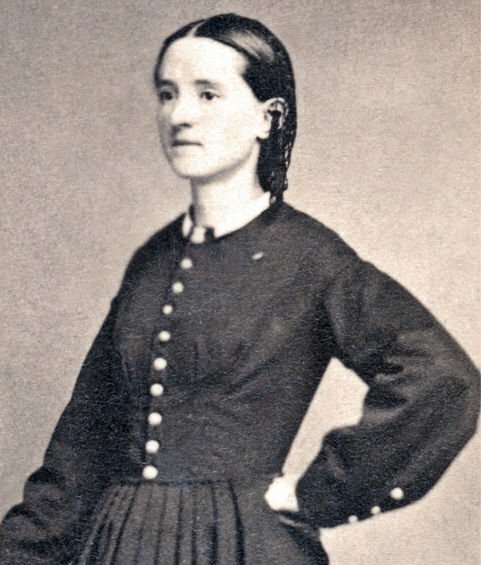 General George Henry Thomas tapped Dr. Walker as Dr. Rosa’s replacement, allowing her to become the first female contract surgeon for the United States Army. The work was intense with little pay, but Mary was very happy to be offered the opportunity, even though it offered her no official commission or rank. In addition to her duties as a surgeon, Mary made frequent excursions deep into enemy territory to help those that were sick and wounded. On April 10, 1864, two months after her assignment to the 52nd Ohio, she took the wrong road that lead her right into the hands of an enemy sentry. Mary was now a prisoner of war. She was sent to Castle Thunder, a former tobacco warehouse in Richmond, Virginia which had been turned into a prison by the Confederacy. One can only describe the conditions at Castle Thunder as deplorable. The place was overcrowded and filthy. Prisoners were subjected to savage and barbarous treatment. Yet, despite these hardships, Mary still managed to care for the wounded while there. After four months of imprisonment, Dr. Walker was released on August 12, 1864. She had supposedly been traded for a high ranking southern officer. Mary had become the first woman exchanged for an officer and was quite proud of its significance. It finally proved to the world that she was considered valuable to the US government. Her time at Castle Thunder had taken its toll on her health. Mary had lost a significant amount of weight, her body was weakened, and she was now experiencing problems with her vision. This would ultimately mean that she would no longer be able to practice medicine. Image of Castle Thunder taken in April of 1865, shortly after Dr. Mary Edwards Walker was released. After her release, Mary returned to Washington. Then, on October 5, 1864, she was awarded a contract by the US Army to become the Acting Assistant Surgeon at the Louisville Female Military Prison. While still not a military commission, she did receive the title of “Surgeon in Charge” and was placed in command of all the prisoners and guards there. Things did not go well. The conditions at the prison were horrendous and no one took well to taking orders from a woman. After six months in Louisville, Mary requested that she be transferred to the front. That’s not where the military brass sent her. On April 11, 1865, Mary was assigned to an orphan asylum in Clarksville, Tennessee. After being there about one-month, the Civil War came to an end. Mary was relieved of her duty and her service for the military officially came to an end on June 15, 1865. Mary sought a postwar commission as an army surgeon, but that request was denied. One sentence in a letter that she received on November 2, 1865 said it all, “Your application for a commission in the military service of the United States has been considered by the Secretary of War and decided adversely. There is no law or precedent which would authorize it.” In other words, Mary was a woman and only men could be part of the military. Yet, they did not leave Dr. Walker empty handed. It was felt that she should be rewarded in some way for her incredible assistance during the war, so on November 11, 1865, President Andrew Johnson awarded her the Congressional Medal of Honor for Meritorious Service. Photograph of Dr. Mary Edward Walker wearing her Medal of Honor. Mary was thrilled to receive the Medal of Honor. She wore the medal with great pride on her lapel. When a replacement design was issued in 1907, Mary always wore both. Then, in 1917, her name was struck from the list of Medal of Honor recipients. Mary wasn’t alone as 910 others, including Wild Bill Cody, had their medal rescinded. In early 1916 Congress tightened the eligibility requirements and every Medal of Honor awarded since the Civil War was reexamined. It was determined by a Board of Generals that these 911 people no longer qualified. Mary was outraged and petitioned the board to review her case, but they said that they had “found no evidence of distinguished gallantry in her case.” Mary, stubborn as ever, refused to mail back the two medals and wore them for the rest of her life. After the Civil War ended, Mary would never practice medicine again. She became increasingly eccentric in her ways. Her style of clothing evolved from wearing a dress covering pants to an all-out male suit complete with a top hat. She was arrested several times for dressing as a man. 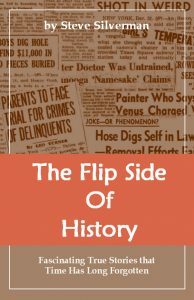 She did the unthinkable when she boldly divorced her husband and, while she did receive a small pension from the federal government, she was able to independently support herself through speeches and working sideshows in the Midwest. 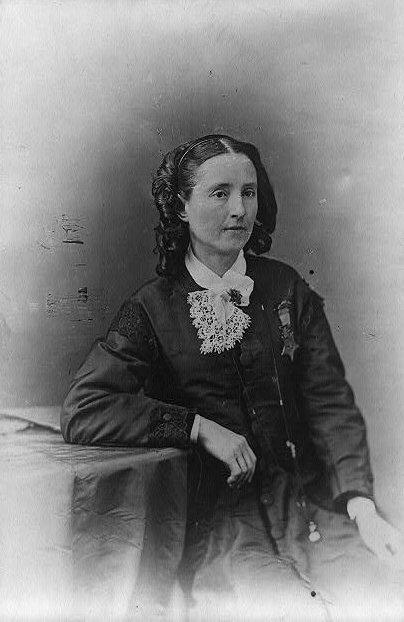 Photograph of Mary Edwards Walker. Date is unknown, but is c.1873. Note that she is no longer wearing a modified dress over her pants. In 1891, Mary inherited the family farm and moved back to Oswego. After a fall on the steps of the Capitol building in 1917, her health began to deteriorate. No longer able to care for herself, she moved in with her neighbors, Mr. and Mrs. Frank Dwight. She died in their Oswego home on February 21, 1919 at 86 years of age. 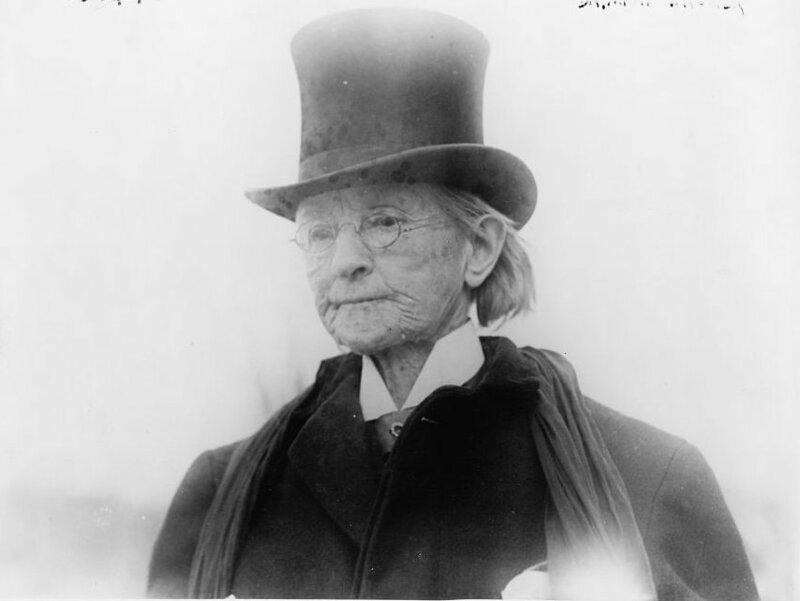 An elderly Dr. Mary Edwards Walker c. 1911. In 1976, descendants of Dr. Walker and members of Congress campaigned to have her Medal of Honor reinstated. On June 10, 1977, Secretary of the Army Clifford Alexander Jr. announced that the Army would do just that and it was made official with President Jimmy Carter’s signature. That makes Dr. Mary Walker the only woman to have been awarded the Medal of Honor, the only woman to have it taken away, and the only woman to have it reinstated. Birthplace of Dr. Mary Edwards Walker in Oswego, NY today.